One of my wishes for all children growing up is that they can be supported in their passions. These two books I'm sharing today tell the story of two disparate women who were supported, praised, allowed to take different paths in their learning because of what they loved! For young readers who do not know of Gwendolyn Brooks, who do not know she was the first black writer who won the Pulitzer Prize, who do not know how her passion for words guided her from a very early age, this is a marvelous introduction to her. 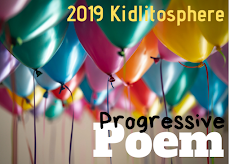 In an array of pink to brown tones created by Xia Gordon, Alice Faye Duncan (writer of Memphis, Martin, and the Mountaintop) writes her own free verse poetry about Gwendolyn and includes some of Gwendolyn's poems, too. Those poems are numbered by Roman numerals, I through X. In school, this poet was already watching and listening, as writers do, and wrote her first poem at age seven, in 1924. 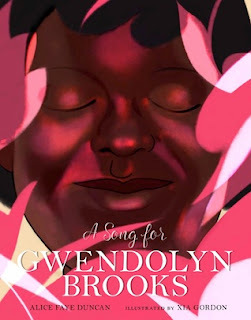 Each part begins with the title challenge to "sing a song for Gwendolyn Brooks", as important parts of her life are told. Kids play, "They boast and bully./They 'signify'", but she stands alone. She lives on Chicago's South Side, can be found sitting on the stoop of their building, always watching. The story tells how much her parents support her, let her out of chores so she can write. Her mother takes her hand to march off to school to confront the teacher who has accused her of plagiarism. She sits right down and writes a terrific, most apt, poem titled "Forgive and Forget". From research, Gordon shows how much Gwendolyn cares about the words, the "right" words as draft after draft is written/re-written. She joins a group of black writers who study the great poets like with a poetry teachers. She falls in love with the right man who also supports her work, and they rent two rooms where she continues to write. 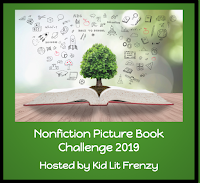 They have two children; Gwen has already published books, is very popular, and is awarded the Pulitzer Prize in between the births of those children. She shines, as her parents have long known! And this biography does, too, a loving introduction to this famous poet. 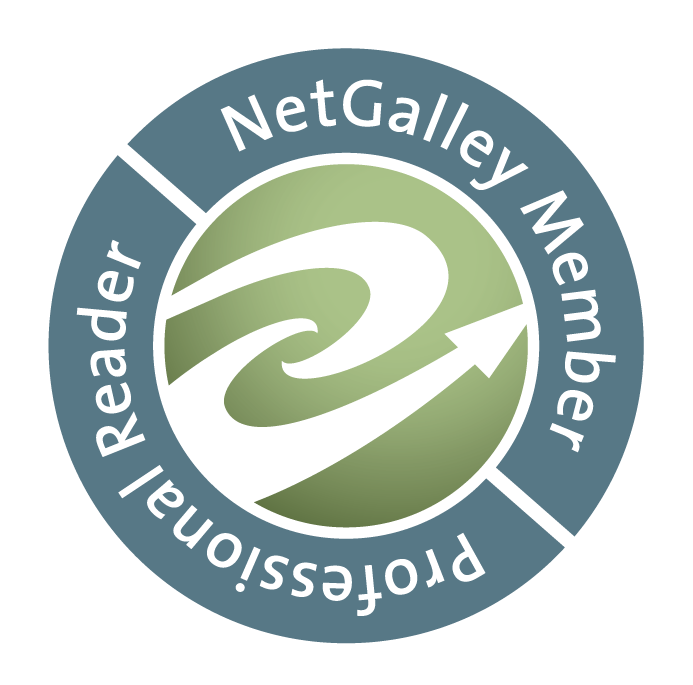 There is an author's note, a timeline, suggested readings and a bibliography in the back matter. Gwendolyn Brooks was the 29th poet laureate of the Library of Congress, continued to earn award honors until her death in 2000. You may know her most anthologized poem, "We Real Cool". Joan Proctor was allowed to lead a magical life because her parents saw her passion for reptiles and let her nurture it. Thanks to Patricia Valdez we now can learn about this amazing, but brief, life. Born in 1897 in London, England when girls were supposed to be content with tea parties, she had her parties with pet lizards and snakes and brought her favorite, a large Dalmatian lizard, everywhere. She suffered from a chronic intestinal illness, so missed a lot of school but like a scientist, she observed her pets and took notes, also from her books about reptiles. When sixteen, she received a small crocodile which she took to school once, scaring everyone. When she needed advice on the care of her pets, she sought out a reptile expert, Dr. George Boulenger, curator of reptiles and fish at the Natural History Museum. This relationship turned out wonderfully, for Boulenger asked Joan to be his assistant, then upon retirement, she took over the job. The book shares that her knowledge and art skills enabled her to create beautiful exhibits, then she moved on in 1923 (at age twenty-six!) to be the curator of the London Zoo reptiles. She designed the new reptile house, their clinic, and later on, became the receiver of two Komodo dragons, reptiles of which little was known. Many thought fearsome things about them, but Joan cared for them and often walked through the zoo, later in a wheelchair, with one that she named Sumbawa. One amusing story showing her loving kinship with dragons happened as she presented a paper at the Zoological Society about them. She brought along Sumbawa, who ate a pigeon whole and strolled among attendees. By that time she suffered from her disease even more and was in constant pain. She died at the age of thirty-four. The added information tells that one can find a marble bust of Joan just inside the reptile house. 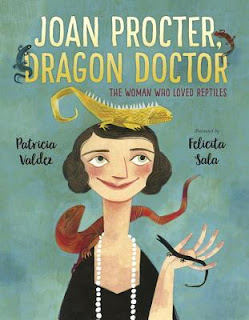 The illustrations by Felicita Sala appear in the style of that time period, attention paid to Joan Proctor and her lizards, the people who were fascinated by her work, and Joan's special exhibits. Additional information and a bibliography can be found at the back plus a lovely photo of Joan as a young girl, holding a lizard. 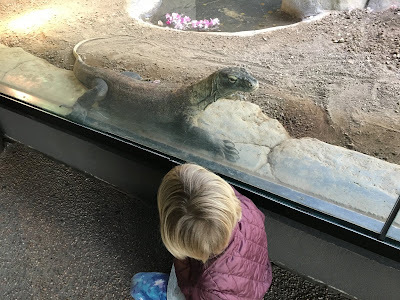 I've added one photo of my younger granddaughter who also loved reptiles by the exhibit of one of our own Denver Zoo's Komodo dragons! The first book sounds great. I really enjoyed Joan Proctor. Such a surprisingly good book. It is good, Earl. I love the way Brooks' poetry was integrated into it. Thanks! I have enjoyed both books, but really enjoyed Joan Proctor. One of those books that took me by surprise! It was so much fun to come home from the zoo & then read the book to Imi. Yes, great book! Thanks, Michele! An English professor recently asked me why there isn't a kid's book about Gwendolyn Brooks, and here it is! And now you can tell her! That's great! Hope you enjoy it, Annette!